This black vinyl pan African Marina girl doll is 45cm in height, has a soft fabric body for cuddling and vinyl limbs. She has moulded hair, fixed brown eyes and wears a beautiful pale pink knitted outfit. Vestida de Azul dolls are entirely made in Spain. 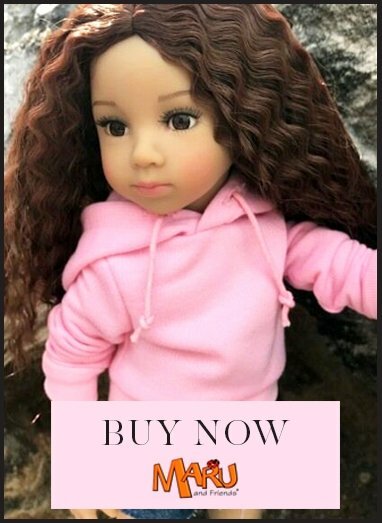 Please note she does not come with the boy doll. The boy doll is available separately.